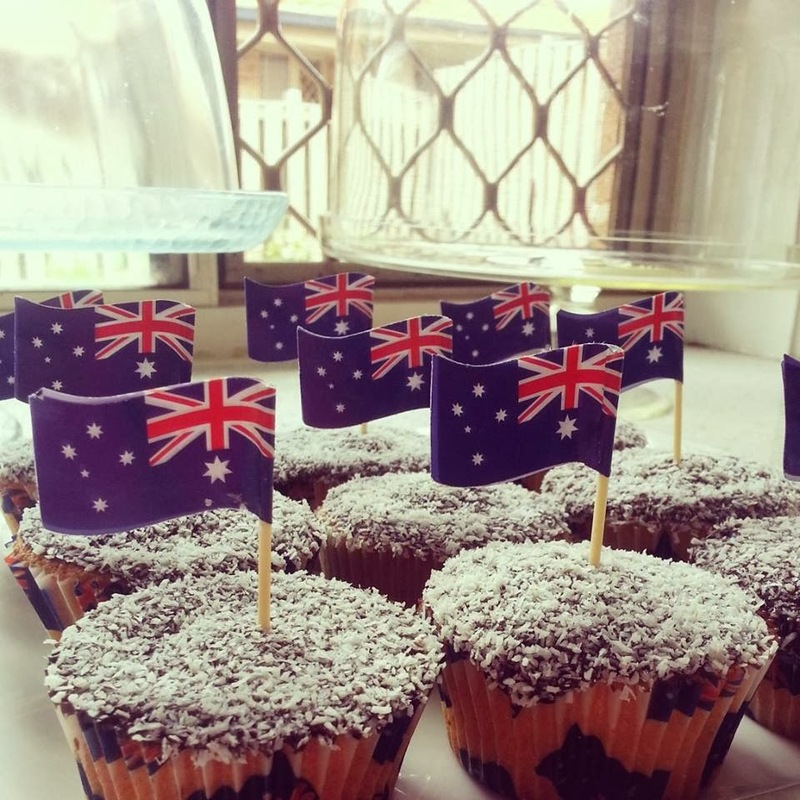 This weekend was the long weekend to celebrate Australia Day, on Australia Day we had a very laid back day the munchkins and I baked some lamington's cupcakes and just potted around the Whitecottage Farmer Joe made a fabulous Delicious BBQ we had the tastiest Lamb chops in town. The following day we decided to drive to Wellington Point for a bit of sun and sand we packed the car as if we were moving house the kids packed every water toy they could find, the tide was low so no much swimming happened but the kids had a ball splashing in the mud. On our way home we decided to go and visit Farmer Joe's old house you see Farmer Joe although not a farmer anymore he grew up in a vegetable farm in the Redlands we drove around and he showed us where his mum and dad farms and fields used to be and spent the longest time telling us all the farm stories how he would go and look for mud crabs or would ride his bike around the fields or to my horror how him and his friends would go at night and go cow tipping the munchkins laughed and enjoyed the stories . Although the fields have now being replaced by all these incredible ocean view houses two things remains Farmer Joe childhood home and his lovely neighbour Charlie the Italian man who has been living in the same street for over 40 years as we drove onto the street there he was tending to his eggplants and vegie patch.